The Fairmont Creamery Company occupied this brick building in 1886.The company, later called Fairmont Foods, was well known in the dairy industry. Dr. S.F Ashby purchased the building for his medical practice in 1907. 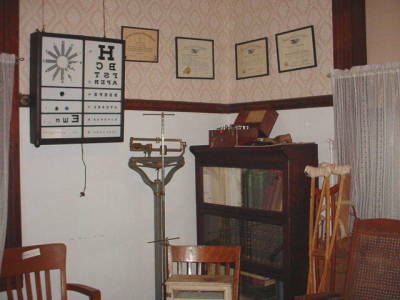 The Fairmont Creamery Building now houses part of the Fillmore County Museum, which contains the doctor's waiting room, period kitchen, and rooms devoted to research and genealogy and other memorabilia donated by Fillmore County residents. The World War II and the Fairmont Army Airfield display has moved across the street into the McClellan building. The museum is open by appointments and Wednesday afternoons from 2-4 pm during the summer months. Across the street from the Fairmont Creamery building, the old McClellan Drug Store contains a variety of cubicles housing special displays. Of special interest is the soda fountain; a 1905 carriage; a one room schoolhouse; a pitcher collection of over 2,400 pitchers; an iron collection; printing equipment; miscellaneous farm tools and an antique furniture display. 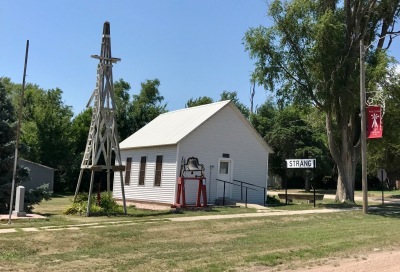 Formerly the Hamilton township hall built in 1889, the Strang Museum was moved to town in 1984. During Strang's centennial year, 1986, the building was transformed into a museum. Standing on the grounds is a wooden windmil and the steeple bell from the United Brethren Church.